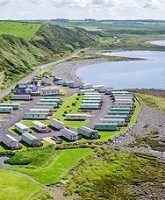 If you are looking at caravan and camping holidays in Wigtownshire, Dumfries and Galloway, Kings Green, Port William is in a great location. Port William is a small, coastal, rural village with a great community spirit and an enormous amount of activities and volunteering going on. In fact, the village, in the past, has won a ‘Calor Village Of The Year’ award for exactly these reasons. The Village runs an Inshore Rescue Lifeboat Service, (PIRSAC), a medical First Responders service and a Carnival Week in August to name just a few! This general theme carries through to the camping and caravan park. 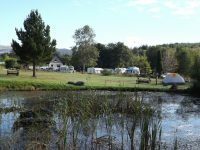 Burrowhead Holiday Village is a beautiful family owned holiday park, designed for tent, motorhome, lodge and caravan holidays in Scotland. It is set in a remote location on the Dumfries and Galloway coast. 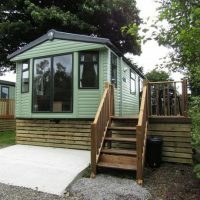 The park is family and pet friendly and offers exceptional views across the Irish Sea and of the Solway Firth and the Isle of Man, as well as access to miles of rugged and unspoiled coastline. Although the park is in a remote location, the huge selection of facilities and activities offered at the site makes it the perfect place for family holidays. 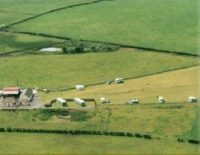 We are a newly established, friendly alternative to staying on a large site . Located approximately a mile outside the market town of Newton Stewart. 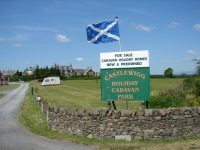 Ideally situated for those wishing to explore the Galloway forest park ,and the local coastline. 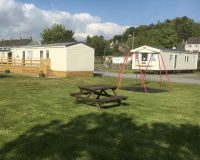 A new family-run camping and caravan site just 6 miles from Wigtown, in a quiet rural location with stunning views over Wigtown Bay and Galloway Hills. 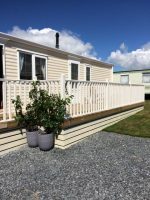 We have 2 static holiday homes for hire and we also welcome tourers, motor homes and campers to our spacious flat site with a new shower block and disabled facilities.